From his studio in coastal Bari, Italian sculptor Giampiero Milella brings new life to old objects. Featuring reclaimed industrial materials, Milella’s work balances the modern and the traditional, creating a new discourse for understanding the contemporary age. The 10,000 spoke with Milella at his home to talk his beginnings, his medium, and the role of an artist in today’s world. 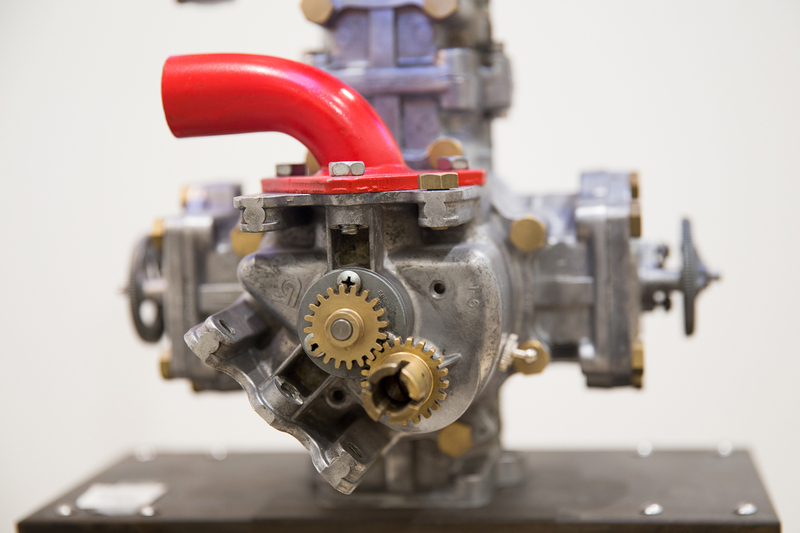 Starting from a young age, Milella was drawn to machinery, industrial parts, and other discarded items. 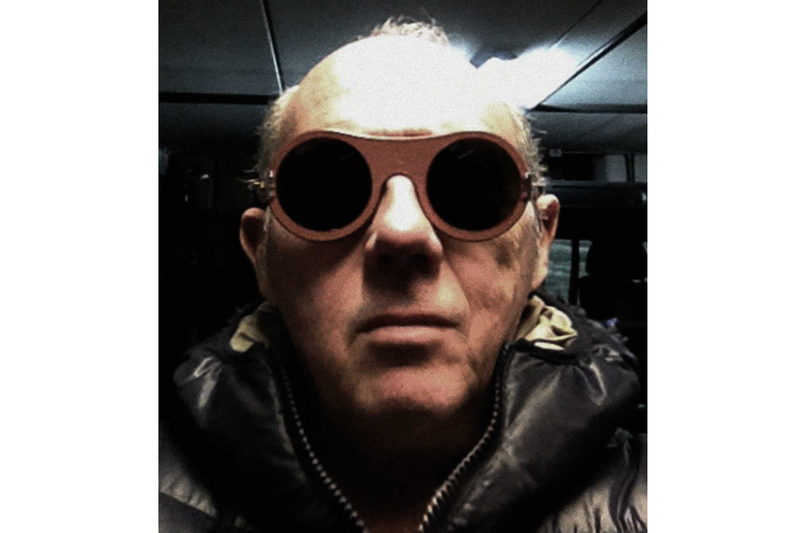 “I’ve always collected old industrial material,” he says. At seven, he remembers picking up an empty tomato can from the kitchen and cutting out windows and doors to fasten a miniature apartment building. But his choice of medium is built on more than convenience, Milella is inspired by the beauty of these everyday objects and the meaning they hold as artifacts of our changing cultural landscape. With discarded fragments and industrial refuse, he uses items’ past lives to ask questions about the future. 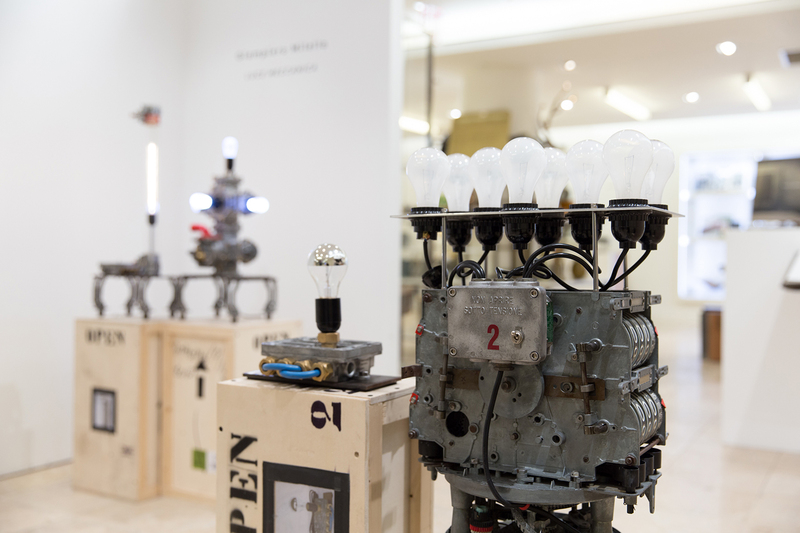 In his most recent sculpture exhibition, Lucce Meccanica, Milella blends human and machine to create a “new anatomy.” The lamps take their shape from the gas pumps and mechanical bolts they are built from, but conjure up a distinctly human form. 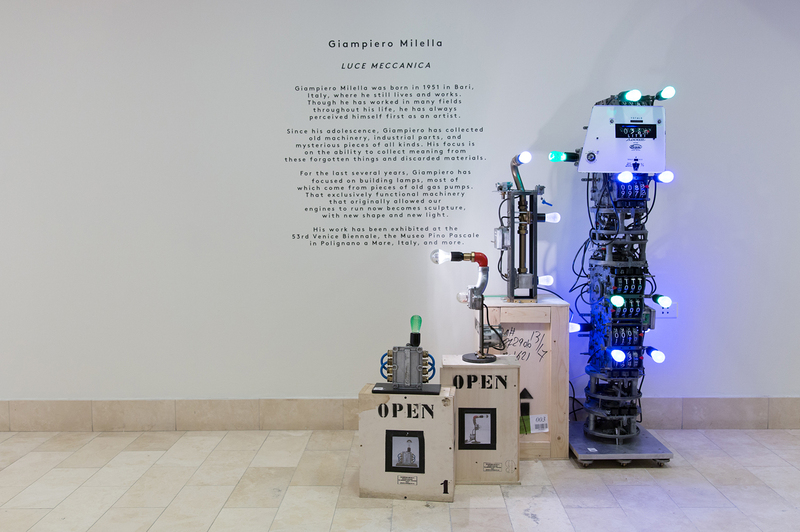 Milella explains, “I wanted to create something organic but mechanical – something to replace the organic.” While the lamps illuminate the thinning line between human and machine in the present, they are also distinctly anachronistic, evoking a deep nostalgia for the past. This tension between the past and the future runs throughout Milella’s work, working in conjunction with his view of artistry. For Milella, the role of an artist is not merely to create beautiful objects, although his work is magnificently beautiful, but to “create a question in the viewer.” This philosophy is invoked in both his art and his sculpture. In one installation, he creates “an altar piece for the modern age.” The work features classical imagery of the Sacred Heart but with a twist. In between traditional portraits of the Virgin Mary and Jesus, sits a mannequin hand hold-ing a pace maker, illuminated by electric Ikea candles. The piece raises many questions, but mainly asks, what is the place of God in an age when men have control over life and death? While not an easy question, Milella explains that he sometimes “purposefully creates something unsettling or uncomfortable,” to spur examination and thought within himself and his audience. In another piece, Milella reminds us that knowledge is not absolute – it needs to “be built upon and nurtured.” The work features traditional tools of knowledge acquisition: chalk, erasers and blackboards, but makes them inaccessible. The chalkboards are painted black and the chalk sits on a pedestal in a clear plastic case, functioning as an urn for lost knowledge. The headphones, the only tool the viewer can access, play a recording of chalk scratching out words against a chalkboard. It is the sound of a passage from Dante’s Divine Comedy, explaining that “men are not meant to be beasts, men were created to pursue knowledge and discovery.” In this piece, Milella asks his audience about the way we measure progress; with our current definition, what is lost and what is gained? Part soothsayer, part creator, and part socratic teacher, Giampiero Milella bestows us with magnificently beautiful objects and thought-provoking questions.